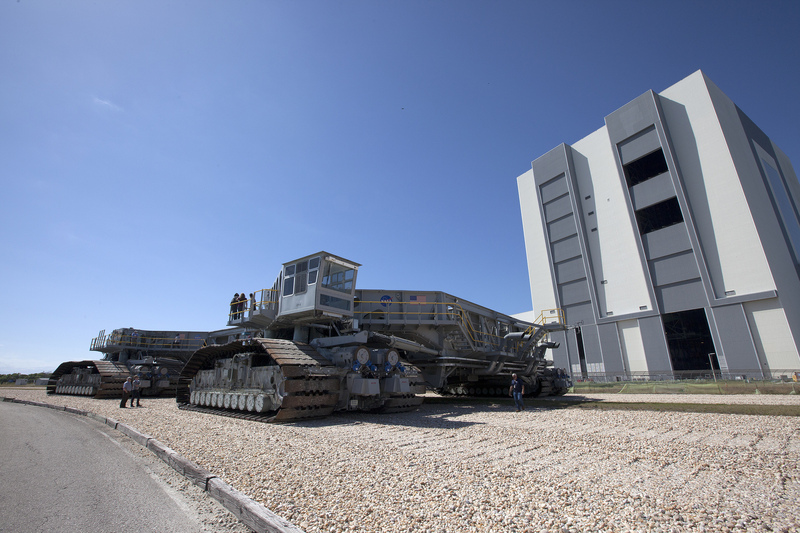 NASA’s crawler-transporter 2 (CT-2) began its trek March 22 from the Vehicle Assembly Building (VAB) to Launch Pad 39B at the agency’s Kennedy Space Center in Florida to test recently completed upgrades and modifications for NASA’s journey to Mars. CT-2 moved along the crawlerway at no more than one mile per hour and will complete its journey to the pad after numerous scheduled stops along the way to verify the operation of the completed upgrades. 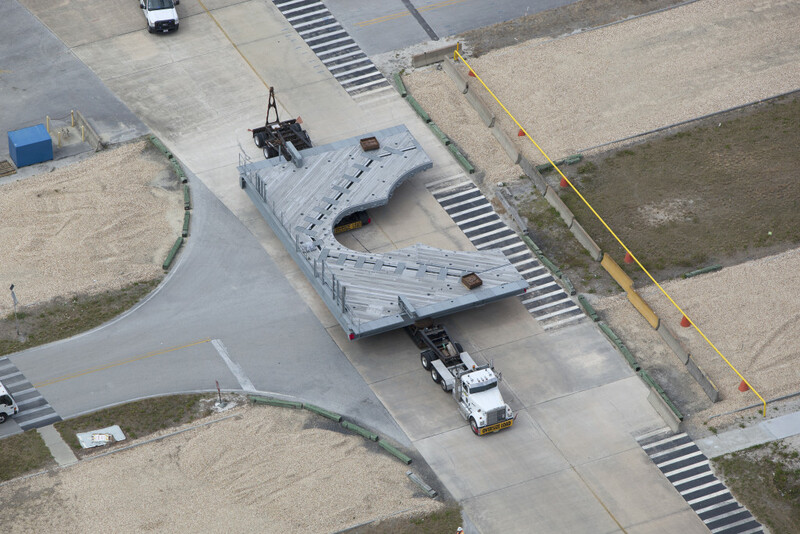 The crawler will depart the pad and travel along the crawlerway to the mobile launcher yard west park sight, where it will pick up a shuttle-era launch platform (MLP-1) to simulate how it would carry the new mobile launcher, and return to Pad 39B in order to verify the vehicle’s capabilities. 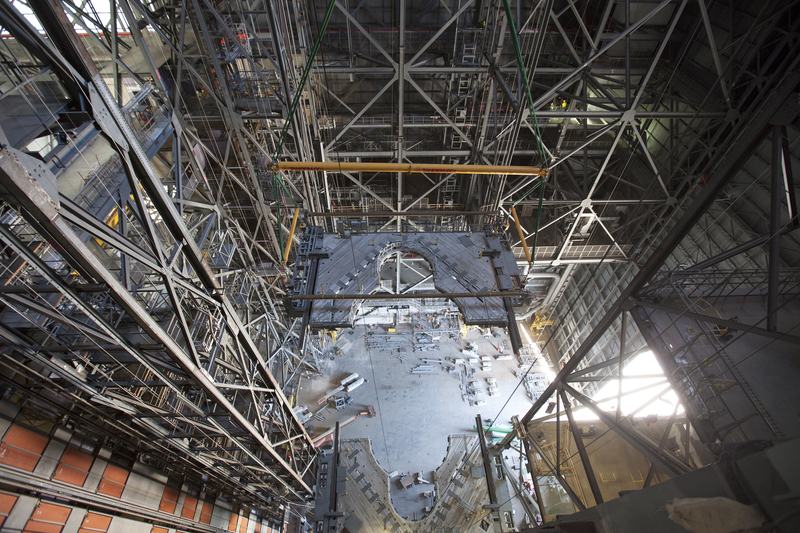 The Ground Systems Development and Operations Program oversaw upgrades to the crawler in the VAB. CT-2 received 16 new jacking, equalization and leveling (JEL) cylinders that will lift the mobile launcher, with the Space Launch System (SLS) rocket and Orion spacecraft atop, and keep them level during transport to the pad; 88 new traction roller bearing assemblies; refurbishment of 16 gear boxes that contain bearings ranging in weight from 10 to 150 pounds each; new generators; and upgrades to the fluid and electrical systems. The crawler will carry the mobile launcher with Orion atop the SLS rocket to Pad 39B for Exploration Mission-1, scheduled for 2018. CT-2 is one of two crawlers built in 1965 for the Apollo program, and also carried space shuttles for 30 years. CT-1 and CT-2 have travelled more than 5,000 miles during their 50-plus years in service for NASA’s space programs. The first half of the F-level work platforms for NASA’s Space Launch System (SLS) rocket arrived today at the Vehicle Assembly Building at the agency’s Kennedy Space Center in Florida. The Ground Systems Development and Operations Program is overseeing upgrades and modifications to High Bay 3 to support processing of the SLS and Orion spacecraft. A total of 10 levels of new platforms, 20 platform halves altogether, will surround the SLS rocket and Orion spacecraft and provide access for testing and processing. The first three sets of platforms, H, J and K, were delivered to the center last year.